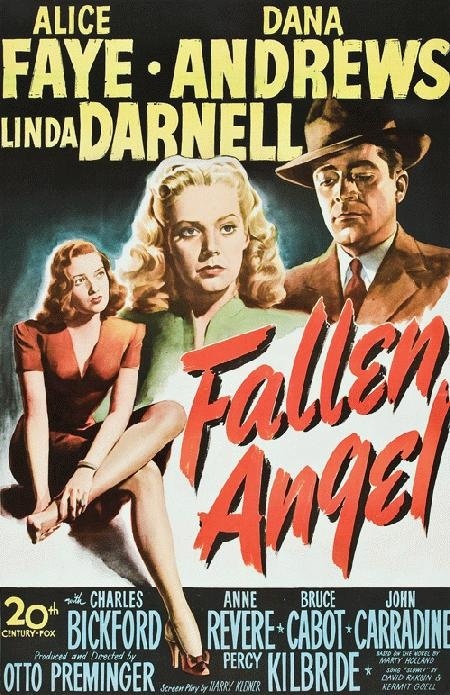 Fallen Angel is certainly the perfect title for a film noir; the term, attributed to the ultimate fallen angel, Lucifer, immediately conjures up images of Hell, sin, and dark dames leading you astray. Those are all elements peripherally in Otto Preminger’s film, but screenwriter Harry Kleiner ends up taking a wrong turn into domestic drama territory, leaving us excited for a bit and bored for the rest. Eric Stanton (Dana Andrews) wanders into a small town where he teams up with a psychic to swindle people out of their money. 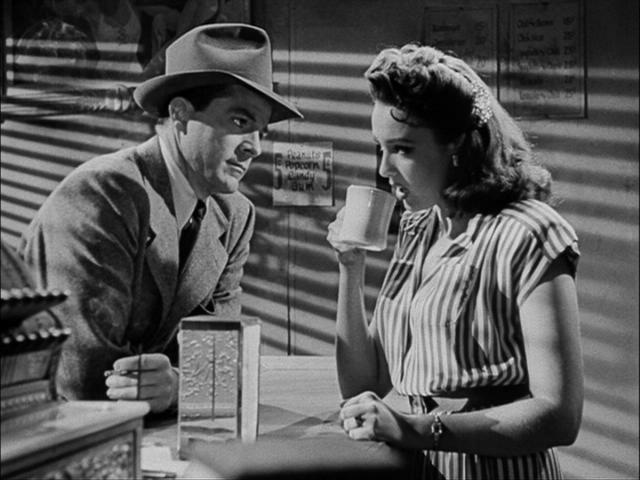 Eric meets local waitress Stella (Linda Darnell) and the two fall into a whirlwind courtship. However, Stella knows what she wants, and what she wants is marriage. Strapped for cash and finding Stella’s affections waning, Eric marries June Mills (Alice Faye), an heiress with a lot of money. All looks good till Stella ends up dead and Eric becomes the prime suspect. Preminger is a director whose repertoire is hit or miss with me. He mastered the noir style with Laura, a murder mystery filled with dream-like imagery leading to differing interpretations. It was this film that set the bar for Preminger, and sometimes his films are at the mercy of the twist (the greatest example is Bunny Lake is Missing). Unlike those films, Fallen Angel is a straightforward murder mystery and that can leave audiences watching the basic formula unfold with little deviation. Our antihero strolls into town and prepares to team up with a psychic (John Carradine in two scenes). Immediately images of the far superior Nightmare Alley (1947) begin to unfold, although considering the death toll in the wake of WWII it’s easy to understand why people embraced the supernatural and why it became a bit of a trope in noirs. But, unlike Nightmare Alley, the script isn’t interested in Eric’s pairing with Carradine’s crew, as the latter quickly leaves town, never to be seen again. Instead Eric stays behind to woo Stella, our femme fatale. Overlooked in the grand scheme of things, Linda Darnell is the perfect embodiment of the dastardly dame, with leg out, posing as our first introduction to her character. The other characters’ response to her return – “You won’t go away again, Stella?” “just as you left it” – indicate a woman who’s done a brilliant job controlling the small-minded men of this town with nothing more than promises and her beauty. Hey, she’s Linda Darnell, after all. The script takes the basic tenets of noir, several already established and set to break out in light of the post-WWII era, and sets up a great murder mystery within. Who bumped off Stella? But somewhere in there, the script takes a sharp left turn away from Laura and into a B-movie version of Suspicion, with Eric’s new wife, June trying to make him happy and Eric trying not to get arrested for murder. Had the film started with June and Eric’s marriage, and Eric’s motivations of getting June’s money clearly situated, it wouldn’t feel like such a bait and switch. But as it is, June is a peripheral character for much of the opening half. Eric arrives in town and learns that June and her sister, Clara (Anne Revere) are heiresses; Clara has recently lost her money through a faulty romance. The psychic plotline plays out here and leads to the possibility that the sisters’ secrets will be exploited, but once the psychic leaves town the plot segues towards Eric marrying June for her money. This is my first Alice Faye film, and I can’t really grasp her appeal. She’s lovely, but her husky voice prevents any additional inflection in her lines, leaving everything sounding flat. It doesn’t help that she does little more than play the concerned wife, the possibly swindled wife, and there’s never any true suspense; it’s never perceived that Eric will bump her off. In fact, I was never sure what Eric’s motives were. Blackmail? Alimony? There is a nice discussion regarding post-WWII relationships. 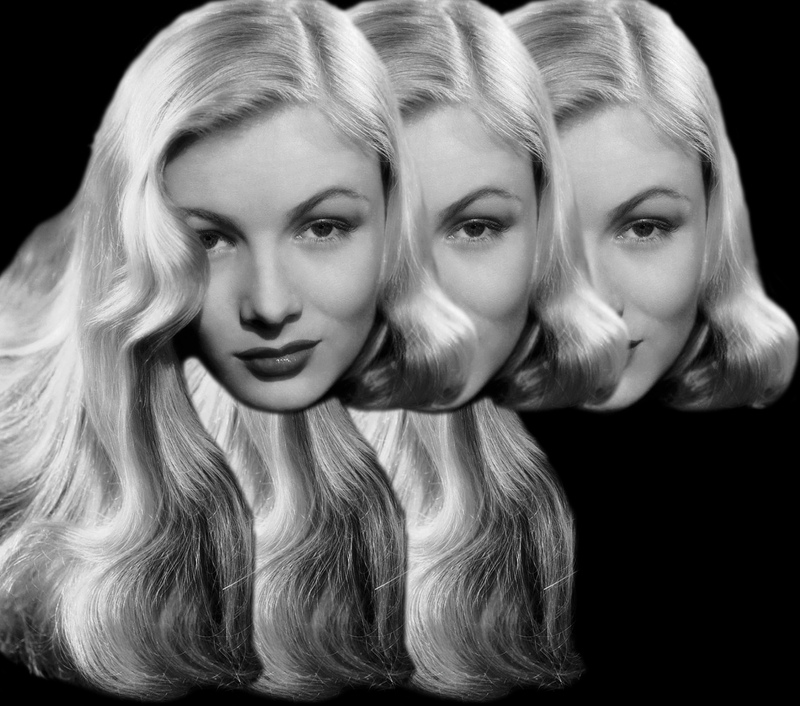 Stella, as the other woman, threatens June’s domesticity with a man she cares for. This, again, would work if June and Eric were together for a significant length of time. When Eric starts listing off June’s qualities – the mark of any successful relationship – it just feels like assumptions on his part. Stella’s murder does lead to a nifty twist, maybe June or Clara killed her, but the ultimate revelation is weak. A side note: This was Faye’s last film performance until 1962. 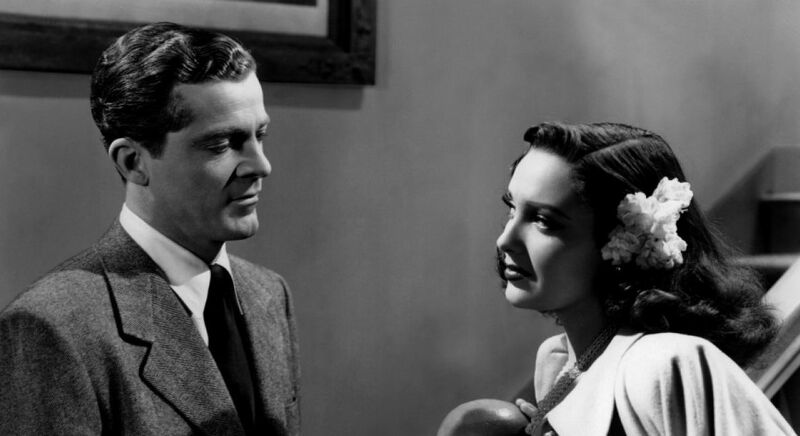 Never as gritty or dark as it should be, Fallen Angel has some decent performances by Dana Andrews and Linda Darnell. Nice review. I agree about its mixed appeal, and about Faye. I’ve read that Preminger trimmed out some of her scenes and she was mightily upset. But she is mediocrity itself compared to Darnell’s sizzle. I love this film. Perhaps a bit of a letdown for those who loved Preminger’s “Laura,” but I think it has a lot going for it. You noted the performances of Andrews and Darnell (and Darnell’s movie entrance ranks with the best of all time, in my opinion), but I don’t think Faye is bad in her first foray into dramatic territory. I love Preminger’s long takes.The one where Andrews and Faye are walking together through town, crossing the street, talking the whole time is pretty awesome. And it’s choreographed very well with Andrews pulling Faye out of the way of a bicyclist riding by. Physically, Faye and Darnell couldn’t be more different. Faye looks like a virginal milkmaid, plain clothes blonde hair done up like Irene Dunne’s in “I Remember Mama.” Darnell is the complete opposite: stylish clothes, dark hair and not appearing at all virginal, but like a woman who has seen it all. 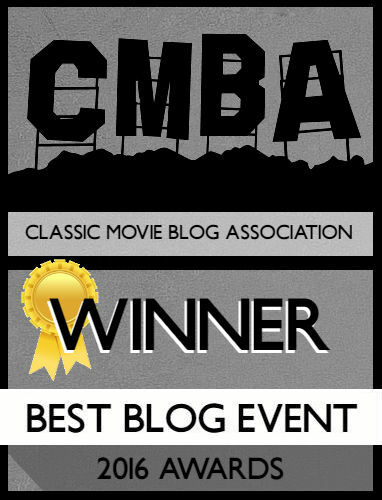 The film score by David Raskin adds to the tougher feel of this compared to “Laura.” Kristan Dijan did a great post on this film for the Dana Andrews blogathon several years ago. 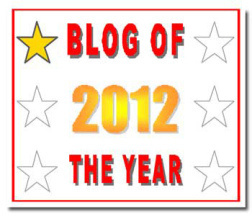 You may enjoy reading it. We have differing opinions on this film, but I do enjoy your writing style; you have a great way of reviewing a film thoroughly without spoiling it for folks who may not have seen the movie. Good job as usual.